Griffin Siebert (a.k.a. Grif) is a 25-year-old professional snowboarder based out of Salt Lake City, Utah. Every winter Grif travels the globe in search of fresh snow and unique lines. While traveling the world snowboarding in far off places, he has managed to earn a college degree in Environmental Geoscience. 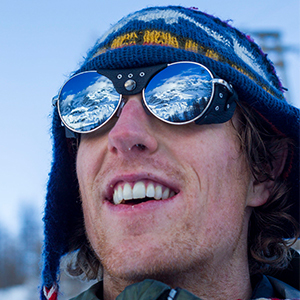 Grif combines his love for mountains, his work ethic, and his background in science in all of his pursuits whether that be; Snowboarding, Splitboarding, Art, Hydrogeology, Climbing, and Content Creation. Seeing the effects of climate change during his travels he has made it an effort to raise awareness among the youth and older generations about today's environmental issues. He is also a member of the Riders Alliance for the non-profit, Protect our Winters. Lofoten Norway is amazing. Last spring we camped on top of a mountain and there was no wind, only good vibes, sunshine, and beautiful corn. We ripped it all the way down to the beach and then went for a surf in the Arctic ocean. Nothing is better than the places where the mountains meet the sea. Powder, new places, and spending quality time with friends. Gigi Ruf, Terje Haakonsen, Nicolas Mueller, Bryan Fox, Austin Smith, Craig Kelly, Blair Habenicht, Aaron and Jason Robinson, Blake Paul, Arthur Longo, Gentemstick crew in Japan and all the human-powered rippers like Forrest Shearer, Nick Russell, Alex Yoder, Gray Thompson, Jeremy Jones... too many to name. Rad art, music, mountains, rocks, waves, and people that have stoke radiating out of them! Because they make the best splitboard bindings in the universe! Duh!